A federal grand jury in Los Angeles indicted Jerry B. Goldman on fraud charges Oct. 30. Tom Hanks, pictured here at the premiere of the film "Cloud Atlas," was one of many bilked by a California insurance broker. 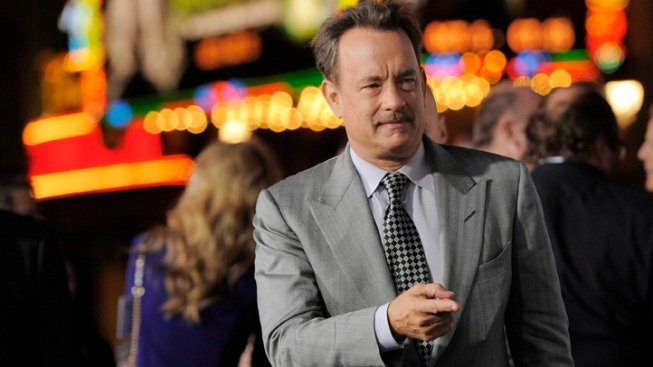 A Southern California insurance broker pleaded not guilty Wednesday to allegations he overcharged Tom Hanks, the former guitarist of The Police and others hundreds of thousands of dollars for insurance premiums. Jerry B. Goldman, who was arrested at his Thousand Oaks home, was released from federal custody on a $25,000 bond posted by his wife, said Stephanie Yonekura-McCaffrey, executive assistant U.S. attorney. A federal grand jury in Los Angeles indicted Goldman on fraud charges Oct. 30. A call to his public defender, Yasmin Cader, was not immediately returned. The indictment claims that between 1998 and last year, Goldman overcharged four victims including Hanks and Andy Summers, the former guitarist of The Police, more than $800,000 on insurance policies. He sent the premiums to the insurance companies and kept the overcharged amount, prosecutors claim. When clients asked Goldman for copies of their insurance policies, he sent them altered copies that didn't disclose the true premium "in order to lull his clients into a false sense of security" and keep them from suing him or seeking criminal prosecution, the indictment charged. Details weren't released, but the indictment says the term "insurance policies" in the document refers to coverage for everything from cars, property and fine art to flood, fire, earthquakes, worker's compensation and "personal employment practices liability." Hanks and Summers were identified in the indictment as T.H. and A.S., but prosecutors confirmed their identities. The other alleged victims were identified only as M.W.H. and S.R. Calls and emails seeking comment from representatives of Hanks and Summers were not immediately returned. A trial date has been set for Dec. 18.